We found this intriguing article about Platelet-rich Plasma (PRP) and its impact on the dental and orthodontic market. PRP is blood plasma that has been enriched with platelets. It promotes recovery in clients that have undergone surgical treatments or experienced tragedies. It has shown to offer promising results in the oral field (tooth extractions, periodontal surgery, and so on), minimizing bleeding and boosting soft tissue healing and bone regeneration. This is a brand-new development in the field of dentistry, and one that is very fascinating and promising to the future of our market. Take a look at the full Platelet-rich Plasma and Dentistry article! If you ‘d like to contact HGS Ortho, kindly go to our website today. Last week, we posted an article about 10 creative uses for old toothbrushes. Well, that blog post was so popular that we’re sharing 15 more creative ways to use your worn-out toothbrush! Are you aware of the fact that your old toothbrush can help you dislodge a splinter? 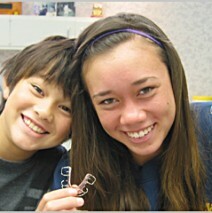 Contact HGS Ortho for professional orthodontic care in Richmond and Port Coquitlam, BC. Do you intend to replace your old, worn-out toothbrush with a new one that has tighter, cleaner bristles? Your old toothbrush may no longer be useful for brushing your teeth but it can still perform other jobs! 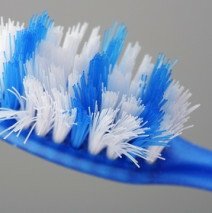 This article explains a few of the uses you can get from your worn-out toothbrush. Your old toothbrush could enjoy a second career as a cleaning brush for small spaces or even a bracelet! Do you have questions about Invisalign? This article has answers to some of the more common Invisalign-related questions! An Informative Invisalign Infographic for Your Kids! Would you like to know more about getting Invisalign treatments for your children? This infographic should answer many of your questions! And did you know that 68% of kids with straight teeth are more likely to be perceived as happy than children with crooked teeth? Contact HGS Ortho for professional orthodontic care in Richmond and Port Coquitlam, BC!